You would never consider going to court without a lawyer...so why would you purchase a home without a REALTOR® who is ABR® certified? The information on this page will be invaluable if you are in a search for a new home and explains what you need to know about ABR® representation. Read it through carefully before making any decisions to shop for a new home. Used appropriately this information will explain the value of using an Accredited Buyer Respresentative to ensure a safe, smooth and financially successful real estate transaction. Using a REBAC accredited ABR® is the best investment any home buyer can make, and the best part is that there is no cost to you. 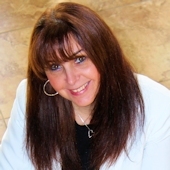 Natasha is a REBAC (Real Estate Buyer's Agent Council) trained REALTOR®. REBAC is an independent body that trains REALTORS® to a higher standard and Natasha has earned the ABR® designation through specialized courses with REBAC. REBAC is the world’s largest organization of real estate professionals focusing on BUYER representation. By providing specialized training and ongoing skill development, REBAC helps its members—and the homebuyers who work with them—experience more successful real estate transactions. One of the best ways to make the homebuying process flow easier is to become better-acquainted with your options and clearly define your goals. Understanding the reasons you want to buy—and what you want to accomplish in your move—will go a long way towards shaping your plans and improving your results. Perhaps the most important first step involves deciding how you will approach your home search. Who will you work with throughout this process—and how will you work with them? Why Use an ABR® REALTOR® Experienced in Buyer Representation? • Understand your specific needs and wants, and locate appropriate properties. • Assist you in determining how much you can afford (pre-qualify your mortgage). • Preview and/or accompany you in viewing properties. • Research properties, to identify any problems or issues you should consider. • Advise you in formulating your offer. • Help you develop your negotiation strategy. • Provide a list of potential qualified vendors (such as inspectors, attorneys, lenders, etc.) for other related services that may be needed. In other words, a buyer’s rep should make your homebuying experience go as smoothly and successfully as possible. Not all buyer’s reps are equal. A buyer’s rep who has earned the Accredited Buyer’s Representative (ABR®) REALTOR® designation has made an extra effort to raise the bar, with additional training and experience in serving you, the homebuyer. If you work with an ABR®, you can feel more confident that you’ll receive the highest level of buyer-representation services. Even though buyer representation is now largely available to homebuyers across the country, it wasn’t always so. As an advocate of homebuyers, REBAC has played a key role in creating that change—helping homebuyers receive the same level of representation in real estate transactions that was previously only awarded to sellers. By effecting substantial changes to the REALTORS® Code of Ethics, REBAC has helped change the way real estate brokerage is conducted across the country, ultimately providing better service to real estate homebuyers. REBAC continues to serve homebuyers by providing valuable information resources on the buying process and helping to connect homebuyers with qualified buyer’s representatives.